Meenakshi Amman Temple is a historic Hindu temple located on the southern bank of the Vaigai Riverin the temple city of Madurai, Tamil Nadu, India. It is dedicated to Parvati, known as Meenakshi, and her consort, Shiva, here named Sundareswarar. The temple forms the heart and lifeline of the 2,500-year-old city of Madurai and is a significant symbol for the Tamil people, mentioned since antiquity in Tamil literature. Though the present structure was built between 1623 and 1655 CE.It is said that the temple was actually built in the 6th century BC by survivors of the Kumari Kandam. In 14th century, the Mughal Muslim Commander Malik Kafur plundered the temple and looted it of its valuables. It was rebuilt by the Nayak ruler Vishwanatha Nayakar around the 16th century. It was Vishwanatha Nayak who rebuilt the temple in accordance to shilpa shastra. It houses 14 gopurams (gateway towers), ranging from 45–50m in height. The tallest is the southern tower, 51.9 metres (170 ft) high, and two golden sculptured vimanas, the shrines over the garbhagrihas (sanctums) of the main deities. The temple attracts 15,000 visitors a day, around 25,000 on Fridays, and receives an annual revenue of ₹ 60 million. There are an estimated 33,000 sculptures in the temple. It was on the list of top 30 nominees for the “New Seven Wonders of the World”. The temple is the most prominent landmark and most visited tourist attraction in the city. The annual 10-day Meenakshi Tirukalyanam festival, celebrated during April and May, attracts 1 million visitors. The gopura of the Meenakshi Amman Temple forms a part of theSeal of Tamil Nadu. Meenakshi (IAST Mīnākṣī Tamil மீனாட்சி) is an avatar of the Hindugoddess Parvati – the consort of Shiva, one of the few Hindu female deities to have a major temple devoted to her. The name “Mīnachchi” means fish-eyed and is derived from the words “mīna” meaning fish and “akṣi” meaning eyes. The lady goddess Meenakshi is the principal deity of the temple, not Sundareswarar, unlike most Shiva temples in South Indiawhere Shiva is the principal deity. According to Hindu legend, in order to answer the prayers of the second Pandya king Malayadwaja Pandya and his wife Kanchanamalai, Parvati appeared out of the holy fire of the Putra Kameshti Yagna(sacrifice for childhood) performed by the king. According to another legend, the goddess herself gave notice to Kanchanamalai in one of her previous births that Kanchanamalai would have the privilege of mothering the goddess. The girl who came out of the holy fire had three breasts. A voice from the heavens told the king not to worry about the abnormality and added that the third breast would vanish as soon as the girl met her future husband. The happy king named the girl “Tadaatagai”and as the heir to the throne, Tadaatagai was trained carefully in all the 64 sastras, the fields of science . As the time came for Tadaatagai’s coronation, she had to wage war in three worlds encompassing eight directions. After conquering Brahma’s Abode, Sathyaloka, Vishnu’s Abode, Vaikunta, and Devas’ abode Amaravati, she advanced to Shiva’s Abode Kailasha. She very easily defeated the bhoota ganas (IAST: Bhūtagana, meaning Shiva’s army) andNandi, the celestial bull of Shiva, and headed to attack and conquer Shiva. The moment she looked at Shiva, she was unable to fight and bowed her head down due to shyness, and the third breast vanished immediately.Tadaatagai realized that Shiva was her destined husband. She also realized that she was the incarnation of Parvati. Both Shiva and Tadaatagai returned to Madurai and the king arranged the coronation ceremony of his daughter, followed by her marriage with Shiva. The marriage was to be the biggest event on earth, with the whole earth gathering near Madurai. Vishnu, the brother of Meenakshi, prepared to travel from his holy abode at Vaikuntam to preside over the marriage. Due to a divine play, he was tricked by the Deva, Indra and was delayed on the way. After the marriage, the pair ruled over Madurai for a long time and then assumed divine forms as Sundareswarar and Meenakshi, the presiding deities of the temple. Following the tradition, every evening, before closing the temple, a ritual procession led by drummers and a brass ensemble carries the image of Sundareswarar to Meenakshi’s bedroom to consummate the union, to be taken back the next morning in dawn. The marriage is celebrated annually as Chithirai Thiruvizha in Madurai. During the period of Nayakarrule in Madurai, the ruler Thirumalai Nayakar linked the festival. The Meenakshi temple is believed to have been founded by Indra (king of Devacelestial deities).While he was on a pilgrimage to atone for his misdeeds. He felt his burden lifting as he neared the swayambu lingam (self formed lingam, a representation of Shiva used for worship in temples) of Madurai. He ascribed this miracle to the lingam and constructed the temple to enshrine it. Indra worshipped Shiva, who caused golden lotuses to appear in the nearby pool. Tamil literature speaks of the temple over the last two millennia. Thirugnanasambandar, the famous Hindu saint of Saiva philosophy, mentioned this temple as early as the 7th century, and described the deity as Aalavai Iraivan. The initiative to some changes the structure was taken by first Nayak king of Madurai, Viswanatha Nayak (1559–1600) under the supervision of Ariyanatha Mudaliar, the prime minister of the Nayak Dynastyand the founder of the Poligar System. 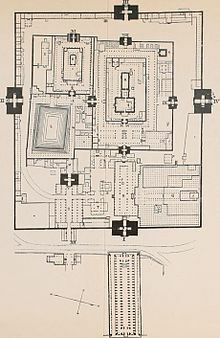 The original design by Vishwanatha Nayak in 1560 was substantially expanded to the current structure during the reign of Thirumalai Nayak (1623–55). He took considerable interest in erecting many complexes inside the temple. His major contributions are the Vasantha Mandapam for celebrating vasanthorsavam (spring festival) and Kilikoondu Mandapam (corridor of parrots). The corridors of the temple tank and Meenatchi Nayakar Mandapam were built by Rani Mangammal. Rous Peter (1786–1828), the Collector of Madurai in 1812, was nicknamed ‘Peter Pandian’ as he respected and treated people of all faiths equally. He donated a set of golden stirrups studded with diamonds and red stones to the temple. Goddess Meenatchi is believed to have saved Rous Peter from a fatal incident. He also wished that after his death, his body be buried in a position that would enable his eyes to face the temple. During the period of early pandian kings, the king taxed the people for constructing this temple. People paid taxes and donations in the form of gold and silver. But the king wanted contribution as low as a bag of rice which would help in feeding the masans who constructed the temple. so the kings collected one handful of rice daily from every house. This would make few bags of rice in the month end. Thus people from all sectors of life contributed in building the temple. Thus, every family has an emotional attachment towards the temple. The destruction of the temple created a religious vacuum and paved the way for the spread of Islam among the Madurai’s inhabitants. The temple was rebuilt by Viswanatha Nayak (1559–1600), the first Nayak king of Madurai. .A Shrine of God Sundareshwar.AA Pudu mandapam (Timmalas Choultry).B Slirine of Goddess Mindksbt-devl.C Small shrine of Ganera.D Small shrini; of Siibrahmanya.E Vcdi or Altar.F Nandi Pavilion.U Javandijvara mandapam.H Navagraha or nine planets.I Large Gancja.jl Shrines of Natervar.K Poets College.L Tank of Golden Lilies.M Mudali Pillai mandapam.O Ashta 5akti hall.P i6 pillar mandapam.Q Thousand pillar mandapam.R Viravasantaraya mandapam, S Kaiyana Sundara mandapam. T Servaikaran mandapam. U Lingam. W Chitra mandapam. Y I. llamvatta-siddha. Z Madura Nayaka temple.I-I\ Four outer Gopurams. V Tiruvachi Gopuram. \*I. VIII. L\ Three Gopurams of the second Prakar^.X, XI. Gates to the Minakshl prakdrant.^I^, Gate between the temples.XII, .^shta-Jakti mandapam. The temple is surrounded by gopurams (gateway tower),- There are 14 gopuram the tallest of which, the famous southern tower, rises to over 170 ft (52 m) and was built in 1559. The oldest gopuram is the eastern one, built byMaravarman Sundara Pandyan during 1216-1238 Each gopuram is a multi-storeyed structure, covered with thousands of stone figures of animals, gods and demons painted in bright hues. The outer gopuram presents steeply pyramidal tower encrusted with plaster figures, while the inner gopuram serves as the entrance to the inner enclosure of Sundareswarar shrine. The central shrine of Meenakshi Amman temple and her consort Sundareswarar are surrounded by three enclosures and each of these are protected by four minor towers at the four points of the compass, the outer tower growing larger and reaching higher to the corresponding inner one. The Meenakshi shrine has the emerald-hued black stone image of Meenakshi. The Sundareswarar shrine lies at the centre of the complex, suggesting that the ritual dominance of the goddess developed later. Both the Meenakshi and Sundareswarar shrines have gold platedVimanam (tower over sanctum). The golden top can be seen from a great distance in the west through the apertures of two successive towers. The area covered by the shrine of Sundareswarar is exactly one fourth of the area of the temple and that of Meenakshi is one fourth that of Sundareswarar. The tall sculpture of Ganesh carved of single stone located outside the Sundareswarar shrine in the path from Meenashi shrine is called the Mukuruny Vinayakar. A large measure of rice measuring 3 kurini (a measure) is shaped into a big ball of sacrifice and hence the Ganesh is called Mukkurni Vinayagar (threekurinis). This deity is believed to be found during a 17th-century excavation process to dig the Mariamman temple tank. The sacred temple tank Porthamarai Kulam (“Pond with the golden lotus”), is 165 ft (50 m) by 120 ft (37 m) in size. In the Tamil legends, the lake is supposed to judge the worth of a new piece of literature. Authors place their works here and the poorly written works are supposed to sink and the scholastic ones are supposed to float, Tirukkural by Tiruvalluvar was one such work. Only a fraction of 17th and 18th century paintings of Nayak period survives and one such portion is found in the small portico on the western side of the tank. It depicts the marriage of Sundareswarar and Meenkashi attended by Vijayaranga Chokkanatha and Rani Mangammal. The painting is executed on a vivid red background, with delicate black linework and large areas of white, green and ochre. The celestial couple is seated inside an architectural frame with a flowering tree in the background. The corridor surrounding the sanctum the Meenakshi is called kilikoondu Mandapam(“bird cage corridor”). The space was once used to keep green parrots that were trained to utter the name of Meenakshi. There are two large cages full of squawking green parrots. The Kambatadi Mandapam (“Hall of temple tree”) with its seated Nandi (sacred bull) has various manifestations of Shiva carved and also contains the famous “Marriage of Meenakshi” sculpture. Sculptures of Shiva and Kali trying to out-dance one another are pelted with balls of ghee by devotees. A golden flagstaff with 32 sections symbolizes the human backbone and is surrounded by various gods, including Durgaand Siddar. The Puthu Mandapam (“new hall”) constructed by Tirumala Nayak contains large number of sculptures.It is situated opposite to the east gopuram. The Ashta Shakthi Mandapam (“Hall of eight goddess”) is the first hall in the entrance of Meenakshi shrine tower near to East Tower. Ashta indicates eight and Shakthirefers to goddess – the hall has statues of eight goddesses. The gopurams (towers) can be viewed from this hall. The passage was named for eight forms of goddessShakti carved on its pillars. Other sculptures and paintings depict the Tiruvilayadal(holy games of Shiva). The sculptures of heroes of Mahabharata, the Pancha pandavas can be seen in the Pancha Pandava Mandapam (Hall of Pandavas). The Viravasantharaya Mandapam is a large hall with huge corridors. To the south of this hall is the kalyana mandapam, to the south of the pillared hall, is where the marriage of Shiva and Parvati is celebrated every year during the Chithirai Festival in mid-April. The golden images of Meenakshi and Sundareswarar are carried into the 16th century oonjal mandapam (swing corridor) and placed on the swing every Friday at 5:30 p.m. The shrine has a 3-storied gopuram guarded by two stern dwarapalakas(guardians) and supported by golden, rectangular columns that bear lotus markings. Along the perimeter of the chamber, granite panels of the divine couple are present. The hall is situated in the western bank of the temple tank. The Mudali Pillai Mandapam or Iruttu Mandapam (Dark hall) is a wide and long hall built by Muthu Pillai during 1613. On the pillars of the halls, there are fine sculptures depicting the story of Shiva taking the form of Bikshadanar to teach the sages a lesson. The Mangayarkarasi mandapam is a newly built hall situated opposite to the marriage halls and bears the name of saindy queen, Mangayarkarasi who contributed to Saivism and Tamil language. To the south of Mangayarkarasi mandapam lies theServaikarar Mandapam, a hall built by Marudu brothers in 1795. The Nagara mandapam (Hall of beating drums) lies opposite to Sundareswarar shrine was built by Achaya Rayar, the minister of Rani Mangammal in 1635.The Kolu Mandapam is a hall for displaying dolls during the Navarathri festival celebrated during September–October. This hall is situated in the second corridor of the Meenakshi shrine at the western side. The Meenakshi Nayakkar Mandapam (“Hall of 1000 pillars”) has two rows of pillars carved with images of yali (mythological beast with body of lion and head of an elephant), commonly used as the symbol of Nayak power. It is situated to the north of Sundareswarar flag staff hall. The Thousand Pillar Hall contains 985 (instead of 1000) carved pillars.The hall was built by Ariyanatha Mudaliar in 1569 and blends engineering skill and artistic vision. Ariyanatha Mudaliar was prime minister and general of Viswanatha Nayak, the first Nayaka of Madurai (1559–1600). He was also the founder of Poligar System, the quasi-feudal organization of the country dividing it into multiple palayams or small provinces in which each palayam was ruled by a palayakkarar or a petty chief. At the entrance of the hall is the statue of Ariyanatha Mudaliar seated on a horse-back, flanking one side of the entrance to the temple. The statue is periodically garlanded by worshippers. Each pillar in the hall is a carved monument of the Dravidian sculpture. The more prominent among the carved figures are those of Rati (wife of Kama), Karthikeya, Ganesha, Shiva as a wandering mendicant and endless number of yalis (mythical figures of lions). There is a Temple Art Museum in the hall where icons, photographs, drawings, and other exhibits of the 1200 years old history of the temple are displayed. Just outside this hall, towards the west, are the Musical Pillars. Each pillar, when struck, produces a different musical note. A distinct feature of Meenakshi in terms of iconography is the presence of parrot in her right hand. The parrot is generally associated with the Vaishnava azhwar saintAndal.”Pancha Sabhai” refers to the five royal courts of Nataraja (dancing form of Shiva) where he performed cosmic dance. The Tamil word velli means silver and ambalam means stage or altar. This massive Nataraja sculpture is enclosed in a huge silver altar and hence called “Velli Ambalam” (silver abode). This is a special figure of Natarja which usually differs from Chola bronzes; in the Chola images, Nataraja is shown dancing with his left leg raised, but this sculpture has the right leg raised.According to the Tiruvilayaadal Puranam (Shiva’s sacred games), this is on the request of Rajasekara Pandya, who was a sincere devotee of Shiva. He requested the deity to change his position, as he felt that keeping the same foot raised would put enormous strain and got a graceful acquiescence from the divine master. There are close to 50 priests in the temple who perform the puja (rituals) during festivals and on a daily basis. Like other Shiva temples of Tamil Nadu, the priests belong to Shivaite to the Adishaivas, a Brahmin sub-caste. The priests live in a closed area north of the temple. The temple has a six time pooja calendar everyday, each comprising four rituals namely abhisheka (sacred bath), alangaram (decoration),neivethanam (food offerings) and deepa aradanai (waving of lamps) for both Meenakshi and Sundareswarar. The puja (worship) ceremonies are held amidst music with nadhaswaram (pipe instrument) and tavil (percussion instrument), religious instructions in the Vedas by priests and prostration by worshippers in front of the temple mast.The common practise is to worship Meenakshi before Sundareswarar. Margazhi (December–January) ritual is prominent one for winning a perfect, god-like husband – it is Meenakshi’s ennai kappu festival. Aligned with the cardinal points, the street plans forms a giant mandala (group) whose sacred properties are believed to be activated during the mass clockwise circumambulation of the central temple. The most important festival associated with the temple is the “Meenakshi Thirukalyanam” (the divine marriage of Meenakshi) that is celebrated in April every year. The wedding of the divine couple is regarded as a classic instance of south Indian female-dominated marriage, an arrangement referred as “Madurai marriage”. The male dominated marriage is called “Chidambaram marriage”, referring to Shiva’s uncontested dominance, ritual and mythic, at the famous Shiva temple of Chidhambaram. The marriage brings together rural and urban people, deities and mortals, Saivas (those who worship Shiva) and Vaishnavas (those who worship Vishnu) in order to celebrate Meenakshi as the royal monarch. During the one-month period, there are a number of events including the “Ther Thiruvizhah” (chariot festival) and “Theppa Thiruvizhah” (float festival). Major Hindu festivals like Navrathri and Shivrathri are celebrated in the temple. Like most Shakti temples in Tamil Nadu, the Fridays during the Tamil months of Aadi (July–August) and Thai (January–February) are celebrated in the temple by thousands of devotees. “Avani Moola Utsavam” is a 10-day festival mainly devoted to Sundareswarar describes his various Thiruvilayadal meaning Shiva’s sacred games.